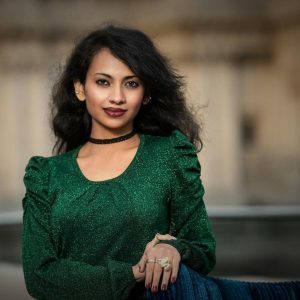 We are proud to let you know that Anvi, a Kannadati living in London, United Kingdom is awarded the second runner up position in the Miss category, as well as the subtitle of Miss Glamour on 2nd of February 2019 at the grand finale of the Zee TV’s Miss and Mrs Britain finale! Congratulations to Anvi from KannadigaruUK!! Here is what Anvi writes about her experience. On the 2ndof Feb, the grand finale of the Zee TV presents Britain’s Miss and Mrs took place at the Grange St. Paul’s hotel. The evening was an unexpectedly beautiful dream come true as I was awarded the second runner up position in the Miss category, as well as the subtitle of Miss Glamour. The pageant journey began on the 4thof November 2018. After having been selected as one of the 15 finalists for the pageant, our orientation day dawned on a cloudy day on the rooftop premises of the Grange St. Paul’s. All the participants were introduced and we were given all the details as to what we could expect during our journey. Every weekend after that has been an absolutely enlightening experience as we were trained under the best of the best in the pageant glamour field. I am from an artistic background, coming from a family of highly accomplished artists and intellectuals. My father Mr. Srinivasan Prabhu is a veteran actor director of Kannada theatre, TV and film. My other Mrs. Ranjini is a Kannada Poetess of high acclaim and a lecturer in Kannada literature. My brother is an upcoming singer and a DJ working with different bands and also developing his own music in Bangalore. 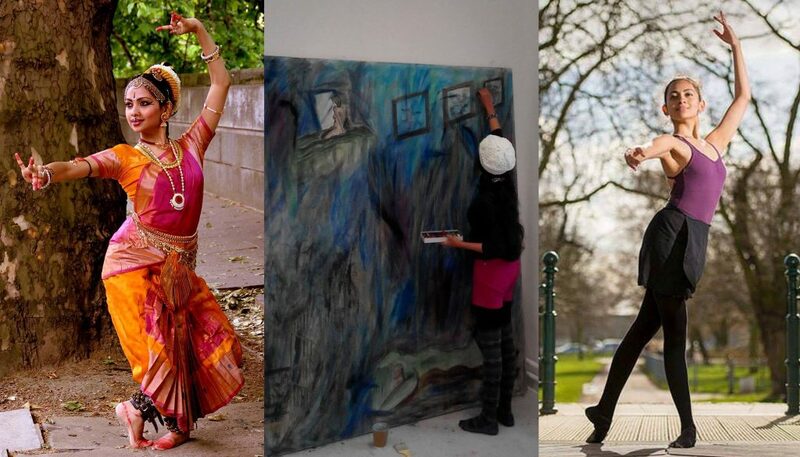 I have worked mainly as a Bharathanatyam dancer, a visual artist (MA Fine Arts, Chelsea college of arts, London), a writer with two poetry collections and one non fiction book published, and an actress in Kannada tele serials. With arts having been my mainstay since childhood, being a part of a pageant had never been on my mind in my younger days. As a feminist, I also believe that judging women based on expected parameters of height, weight, age and looks is demeaning. But what drew me to this particular pageant is the fact that every woman came from a different background and life experience – some married, some single mums, some are professionals. We were an eclectic mix in terms of our age and experience. What brought us together and bound us was the honesty, the striving for excellence and pushing through our personal limits. It has been an incredibly pleasant experience with the other finalists. The motto of the pageant is ‘Beauty with a Mission’ and each of us had very strong views and causes that we support wholeheartedly. The in-house charity is Allergy awareness and some of the participants did allergy awareness mini camps at various areas. The main cause that I have been supporting, writing about, and fighting for is the fight for equality and basic human rights. After all the achievements that humankind has made throughout history, it is a shame that certain sections of our societies are denied basic rights and basic freedoms. As an artist I am convinced of the power of art to bring about massive changes in society, and I continue using my artistic talents and my platform for the same. Another project I started during my pageant journey is #ProjectWarmth. As the name suggests, it is a simple project that aims to bring about love, peace and warmth through simple gestures around us. My co participants and I walked around London during December distributing hot drinks and croissants to the homeless. It was a simple gesture that brought a lot of joy to the people and satisfaction to us. Some of my other friends also distributed sanitary napkins, food and blankets. It made me feel very grateful and very inspired to have started this chain of positivity, which I hope to continue and spread on a wider scale. The most wonderful part is that the journey now continues as I will head to an international pageant (details to follow shortly) and compete on the international stage. This feels me with joy and I look forward to how this opens up my path in the field of glamour, modelling, and acting. The path looks brilliant and optimistic and I am looking forward to the next steps. I thank my family who have as always stood by me, my family and friends in London who are an excellent support system, and everyone else who inspires me. I will cherish every session and every moment spent as part of the pageant. We have formed a very positive and supportive team of powerful women and our friendships will hopefully last a long time. With all my heart I thank our director Mrs. Priyanka Kanvinde (Mrs Classic Universe 1, 2018) who has pushed us to excel in every way. And of course all our mentors and judges. The much awaited grand finale of ZEE TV presents. Britain’s Miss and Mrs took place on 2nd Feb 2019 at one of London’s top five star hotel Grange witnessed and graced by our honourable judges Rehana Ameer, Rahul Nangare, Ginny Kakkar, Vimmi Dhillon, Harmeet Singh, StephanieHill, Grace levy, Samantha Coote, Soumya Hv, Ash Oberoi, Sheetal Rane, Hannah Batten, Navin Kundra. A huge thank you to Navin Kundra and Stephanie Hill for delivering a powerhouse live performance captivating audiences. Prachi Ranade for mesmerising the audience with her voice.